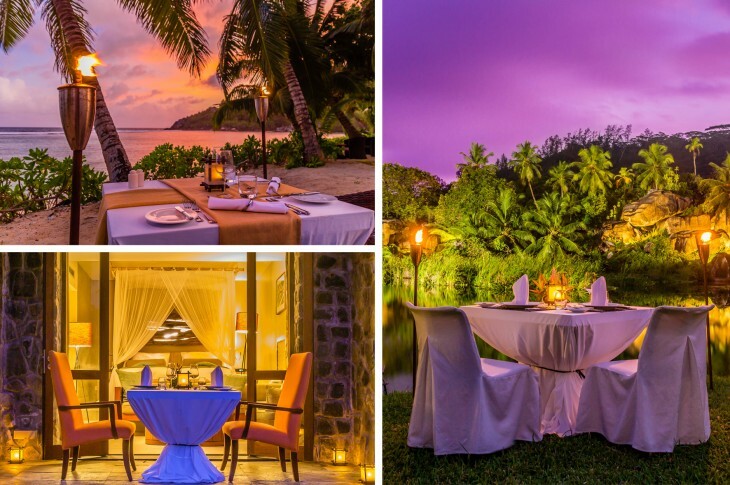 The magical swaying of the palm leaves to the tune of the sultry sea air, the awe-inspiring hues of the turquoise sea, the sun setting in a vermilion painted sky and a perfect companion. Nothing can be as close as this, for a perfect tropical vacation. Tropical islands have always been our choicest holiday destination. Be it the Maldives, Malaysia or Thailand, it’s hard to pick our favorite. When our flight was about to land in Mahe, Swati and I were all pumped up and excited about our tropical vacation. 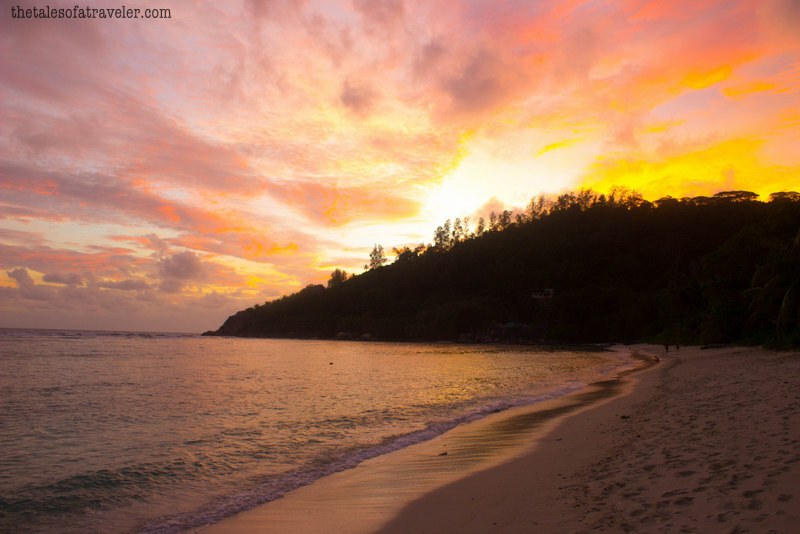 Yes, this year it was Seychelles, which we had planned to strike off from our ever growing bucket list. 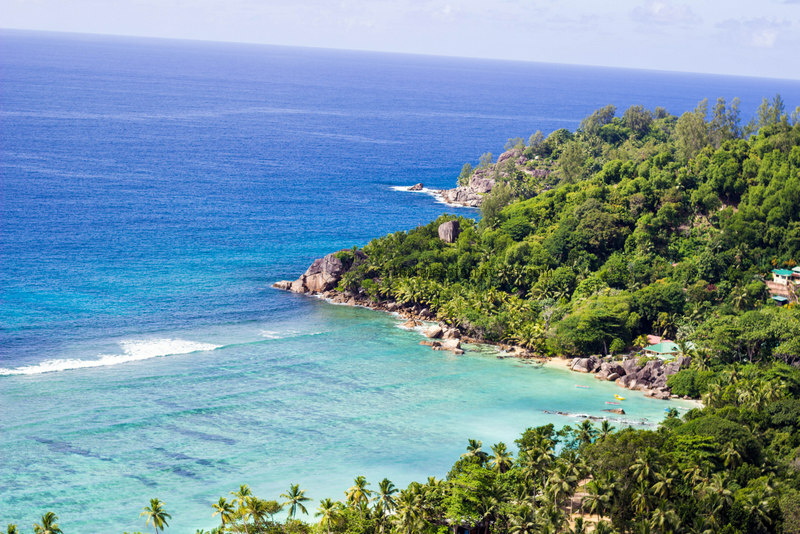 As we disembarked from the plane at Mahe and headed towards Kempinski Seychelles, we knew that Seychelles would enchant us like none other. 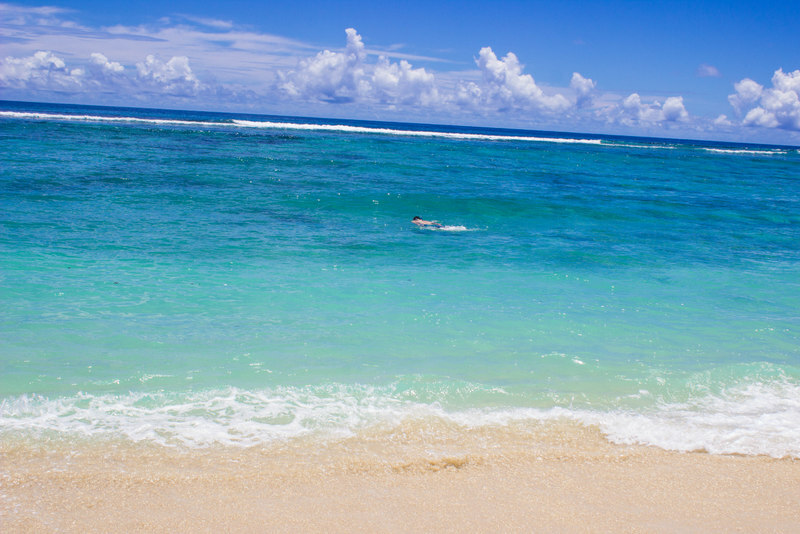 The picturesque white powdery beaches and azure blue waters greeted us on our way to the resort, we could not resist but had to ask the taxi driver to stop at a couple of places so that we could dip our toes in the white sand and feel the sea air caressing our faces. He was kind enough to oblige considering we were just too excited and mesmerized by the stunning views that Seychelles had to offer. We spent our days lounging on the beach chairs and sipping colorful tropical cocktails, snorkelling in the pristine waters of Baie Lazare, feeding giant tortoises during the afternoons, breakfast picnic on the hill with the stunning backdrop of resort and the Baie Lazare beach, watching the sun go down in the Indian Ocean and last but not the least, hogging on scrumptious Creole cuisines. It was an escape into the world of luxury and relaxation. As soon as we arrived at the resort we were greeted by the hotel staff with wet towels, a drink, and a welcoming smile. While we were escorted towards the check-in desk our luggage was whisked away by the porter. Sipping the welcome drink, we completed the check-in formalities. The whole process took less than 5 minutes. A quick introduction followed and we were then escorted to our room where our luggage was already waiting for us. As we entered our Sea View Room we found it to be beautifully decorated with hibiscus flowers. On one side of the room was the view of huge boulders while the other side was endless views of the ocean. Room interiors were quite modern. We loved the earthy tone that was used for furnishing the entire room. The foyer had a large sized mirror that lead to a working desk, and on the right side was the bed and the left had a spacious bathroom and walk-in closet. The queen size bed was covered with wrinkle-free white linen with an add-on white colored bed canopy. The sleeping area was divided with an elevation separating out the seating and sleeping area which made the room spacious. But the best was the floor to ceiling window which opened up to the patio that overlooked the manicured garden which led to the turquoise blue sea. Other amenities in the room included a large screen flat interactive TV, an iPod docking station, weight measuring machine, three phones, a well stocked mini bar and a study table. 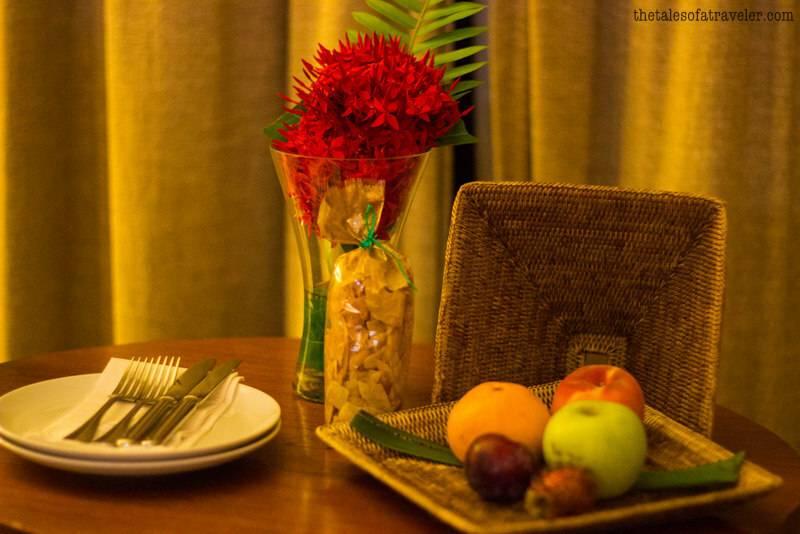 The resort offers three different kinds of rooms – Hill View Room, Sea View Room, and Sea View Garden Room. 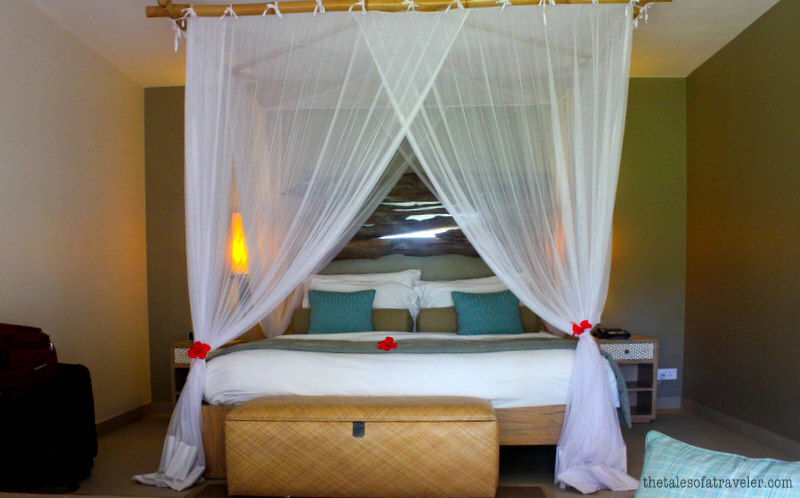 Some of the rooms also face a natural lagoon which is present inside the resort. 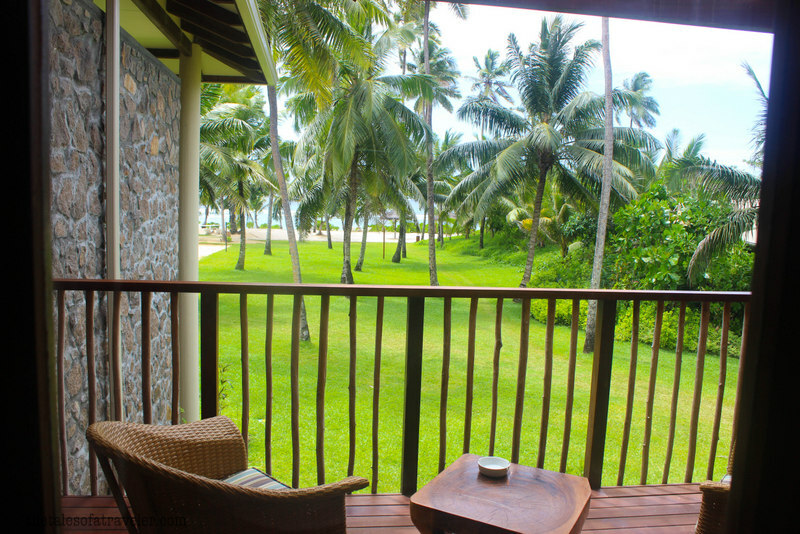 There are two different types of suites namely One Bedroom Hill View Suite and One Bedroom Sea View Garden suite that are offered by the resort. Each room is tastefully decorated and has all modern amenities. 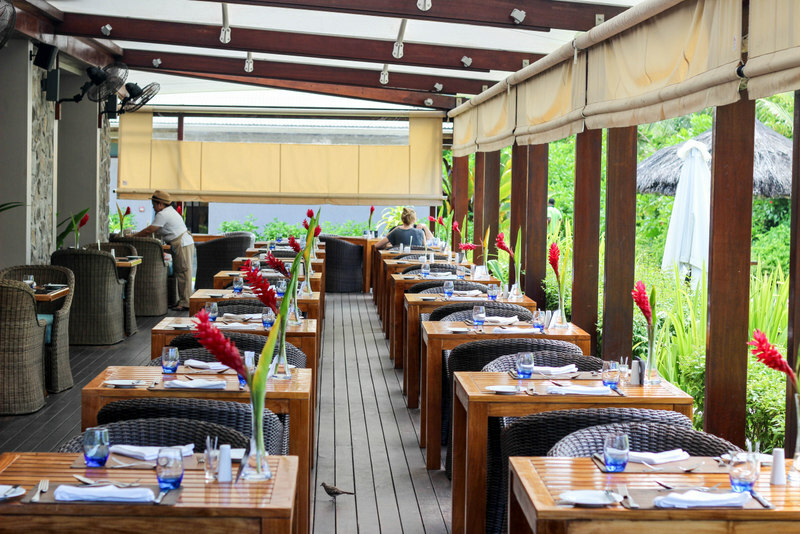 The food was one of the highlights of our stay at Kempinski Resort & Spa, it was the best that we had during our entire stay at Seychelles. 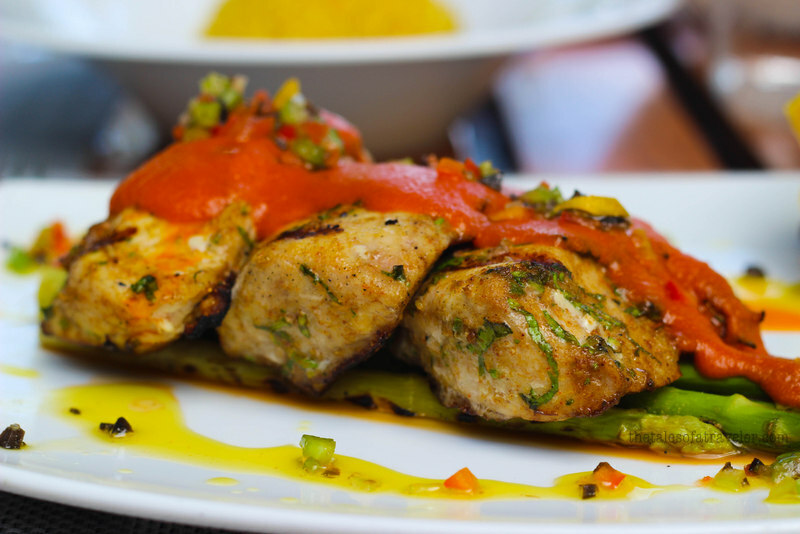 The hotel boasts of three restaurants that serve multi-cuisine food. 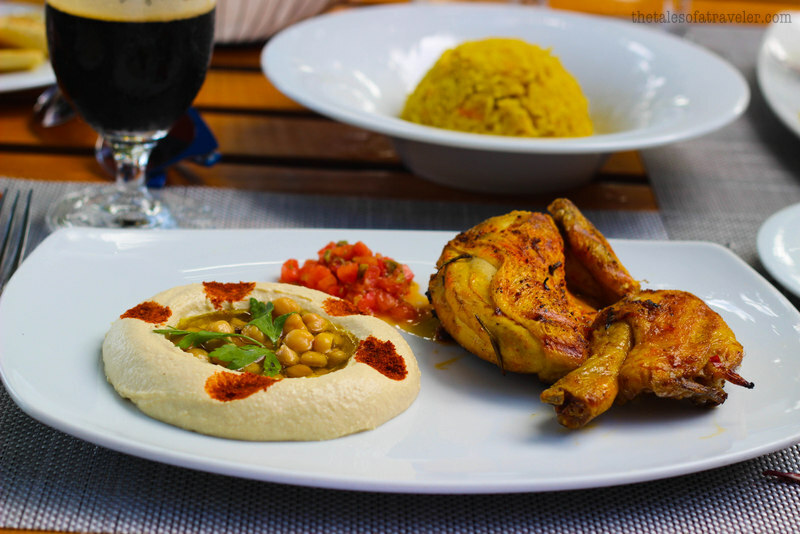 The breakfast spread is varied and huge and starts from 7:30 AM in the morning and continues till 10:30 AM and is hosted at Café Lazare restaurant. The breakfast spread has the choicest of bread, muffins, cakes, freshly squeezed juices, cereals, eggs to order, boiled veggies to kick start the day. Windsong is the beach themed restaurant where you can enjoy your lunch watching the waves crash against the powdery white beaches. During lunch on our first day at the resort, the chef prepared amazing sumptuous Creole food for us. Swati ordered fish and I ordered chicken. We washed down all with a pint of the locally produced beer – Seybrew. We also did not miss to experience their fining dining restaurant. The chef came up with his choicest of champagnes that followed with white and red wines to go along with the starter, main course and dessert. On the very next day, we went for a yoga session with the in-house yoga instructor at the resort on top of the hill. 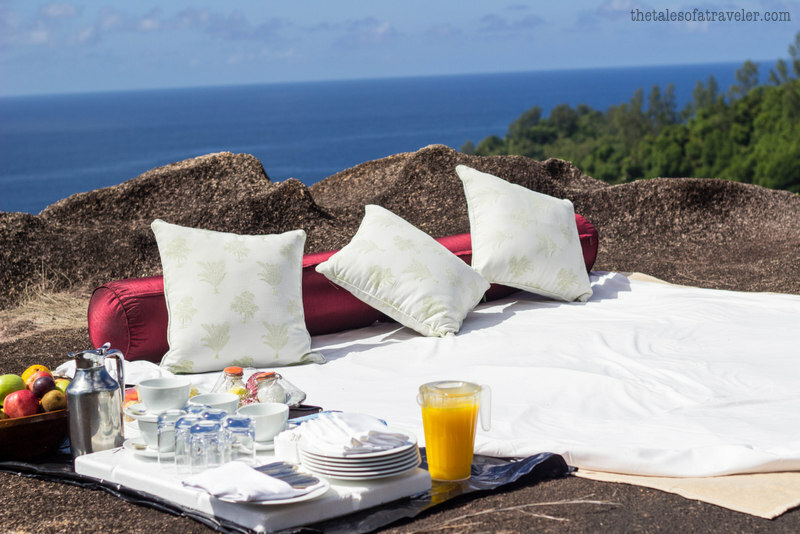 We trekked all the way up to the hills and were taken back by the surprise picnic planned for just the two of us, on top of the hill overlooking the resort and the sea, after the yoga session. The picture says it all. 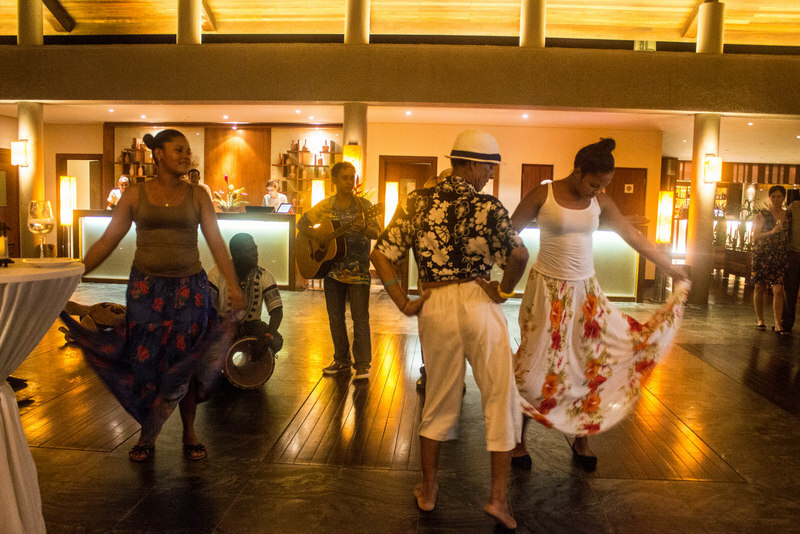 The resort hosts theme nights on every weekday and Thursday was a Bollywood themed night. 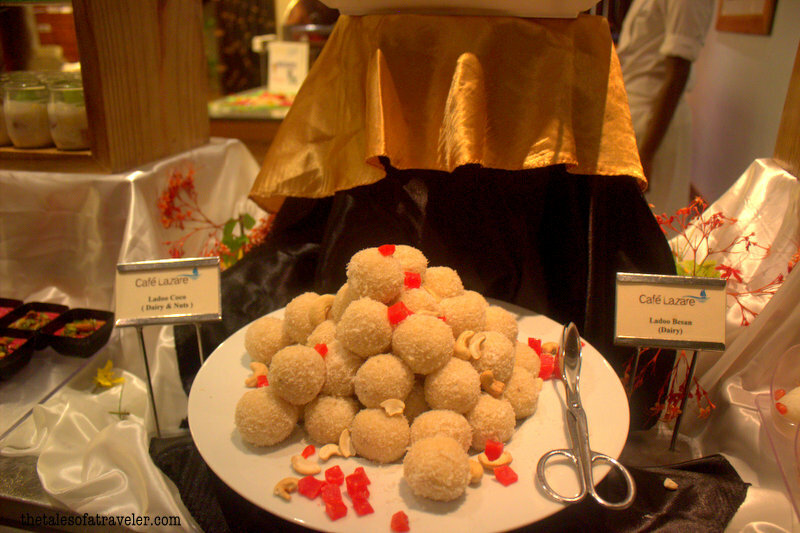 That night the buffet included everything starting from chat, Pani Puri, Gajar halwa, Besan laddoo too ;). The taste was as good as having dinner at any Indian restaurant back home, later we found out that an Indian Chef works at the resort and the taste was spot on. 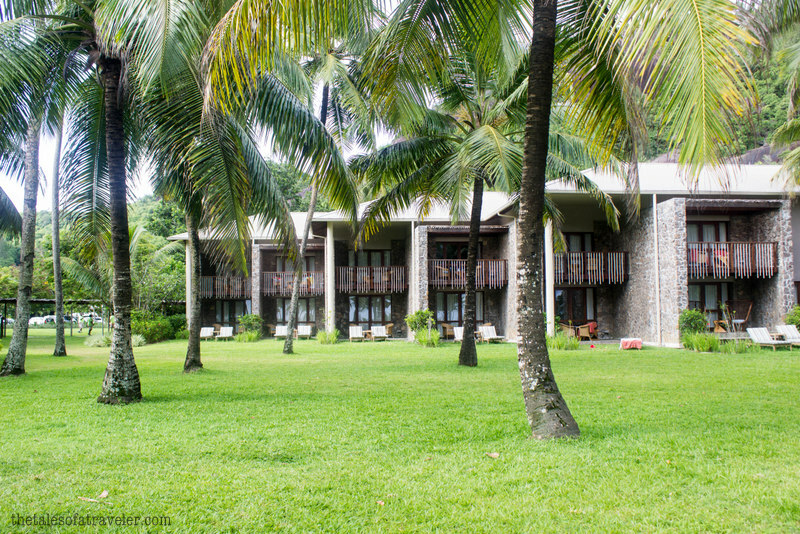 The resort is well equipped with all the modern amenities like a gym to keep you fit, creche and kids corner to keep your munchkins busy while you go for snorkelling or diving, swimming pool to relax, spa to calm your senses. The resort even has a CASINO. The Resort has no dearth of activities and will keep you occupied all day or even a week ;). 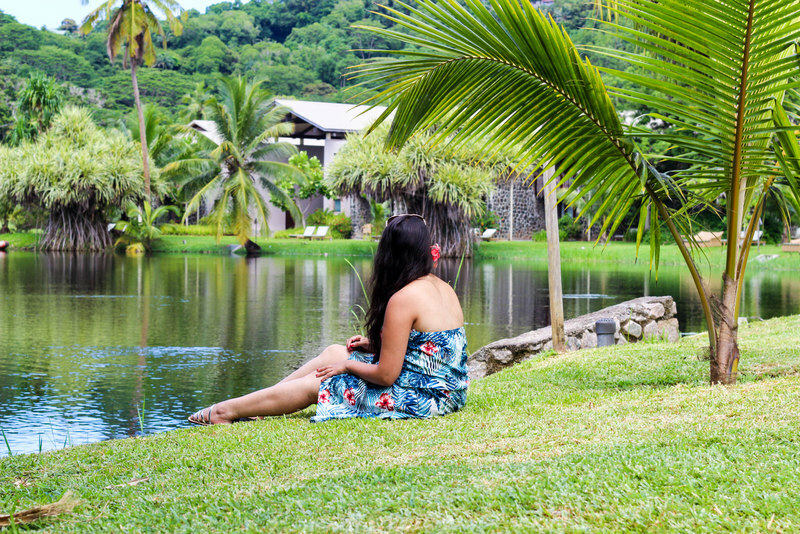 It is perfect for a family or couples as you won’t find a reason to part away from the resort. Yoga sessions can be organized upon request. 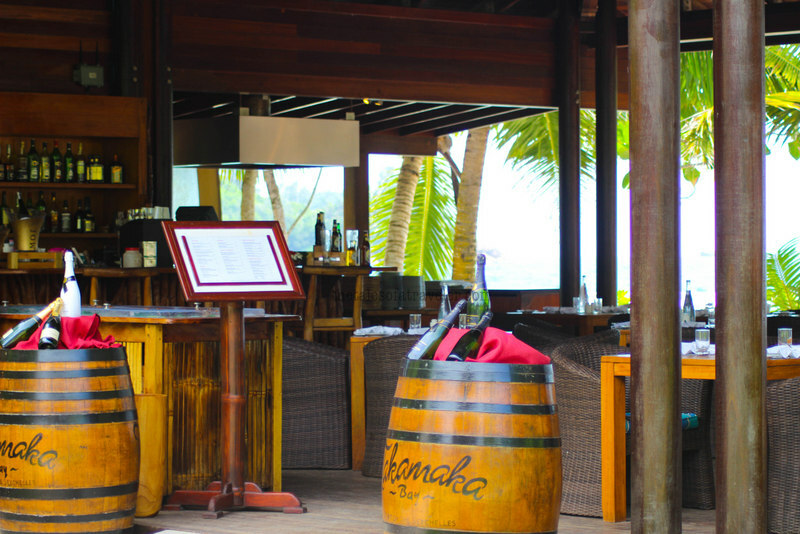 The resort also boasts of having one of the best dive centers in Mahe. The Dive center is the place from where you can just grab your snorkel gear or suit up in your scuba attire to explore the world underneath. 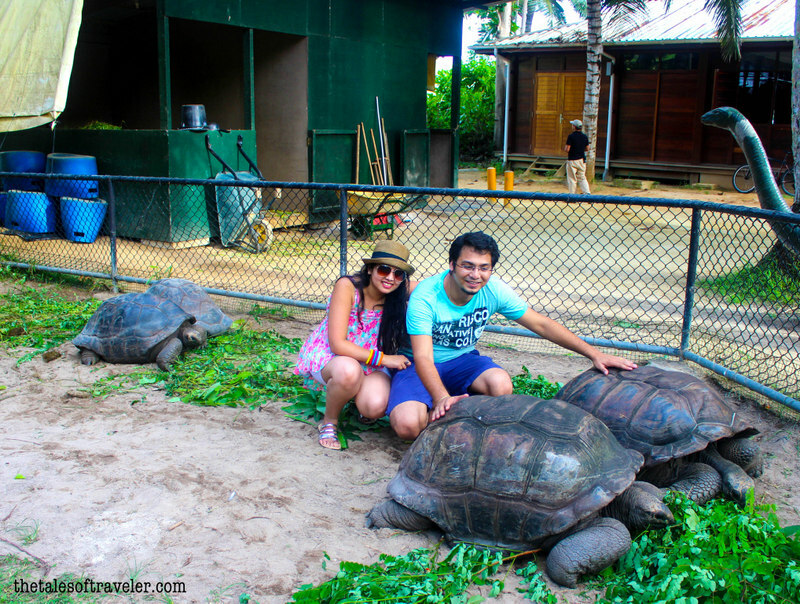 The resort also has tortoise feeding sessions every afternoon and hosts cocktail parties every week with a traditional dance performance by the locals. 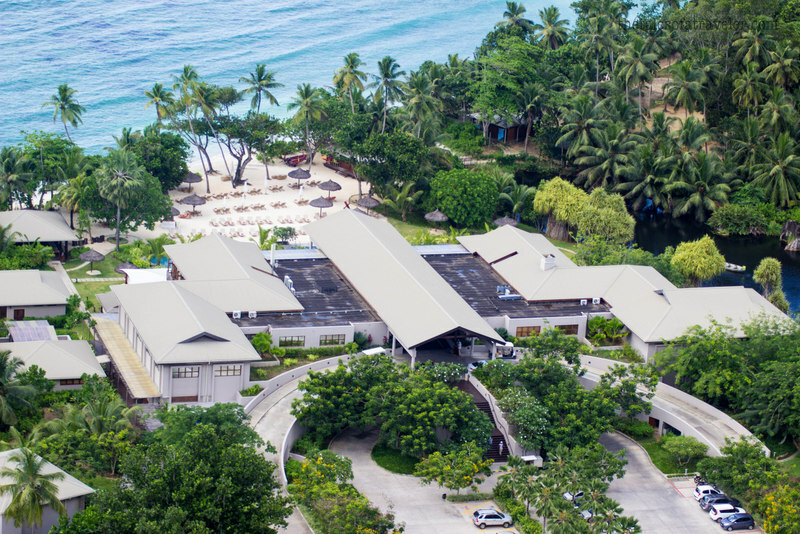 Tucked in the southern part of the island, Kempinski Resort and Spa is just 30 minutes away from the airport. 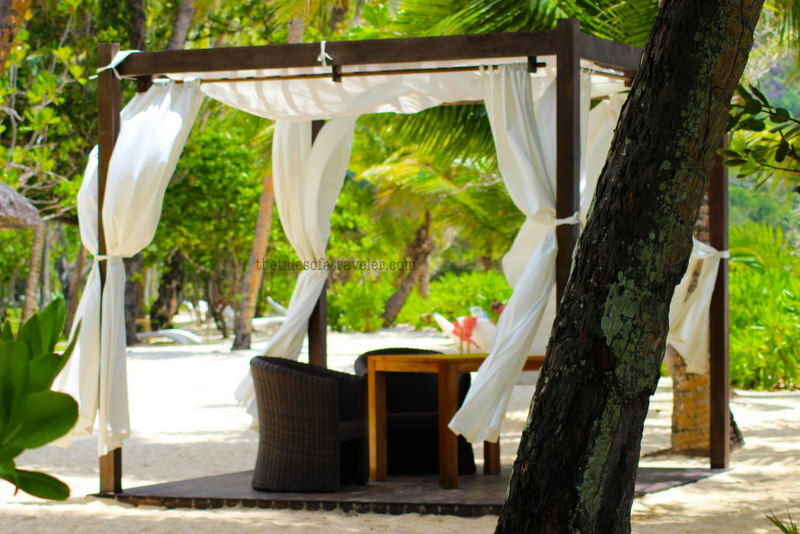 A perfect tropical setting makes it secluded and a private oasis of luxury. 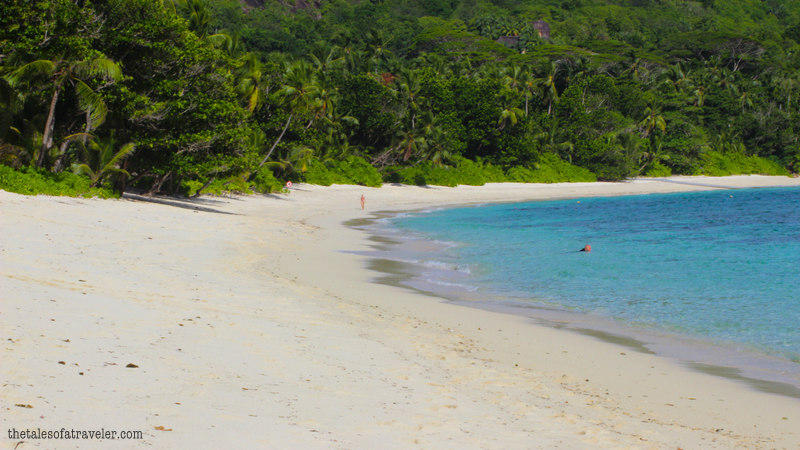 The resort has a 1 km long white sandy beach. Though the beach is not private however most of the time you won’t find anyone else apart from the resort guests spending time on the beach. 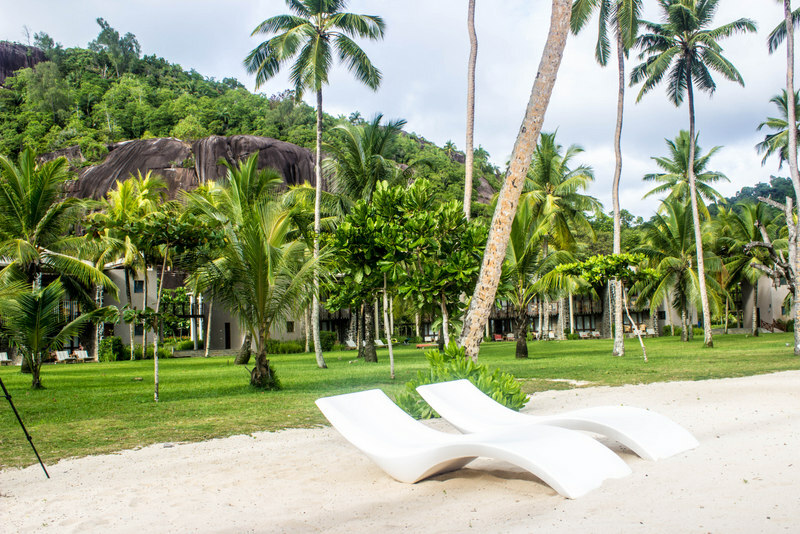 We loved our stay at the resort and would highly recommend it if you are looking for all inclusive secluded stay at Seychelles. Kempinski Resort & Spa would perfectly fit in. 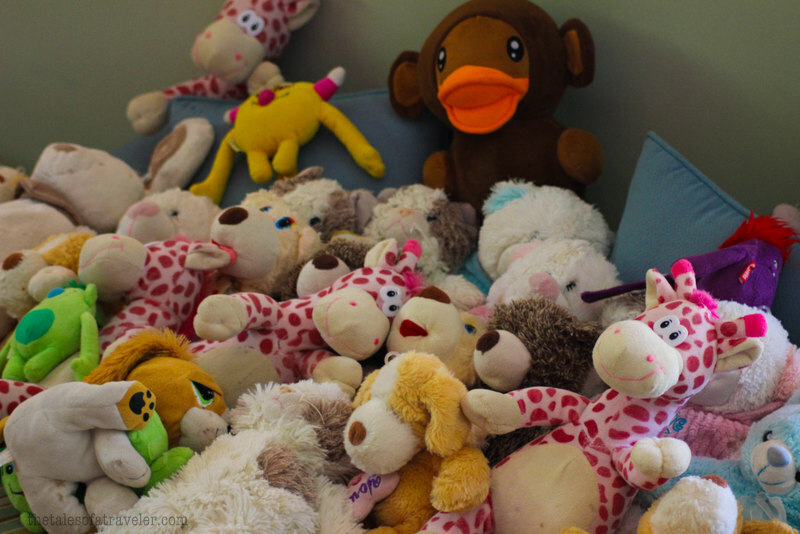 Apart from location, amenities, and activities, we found the staff warm and friendly. 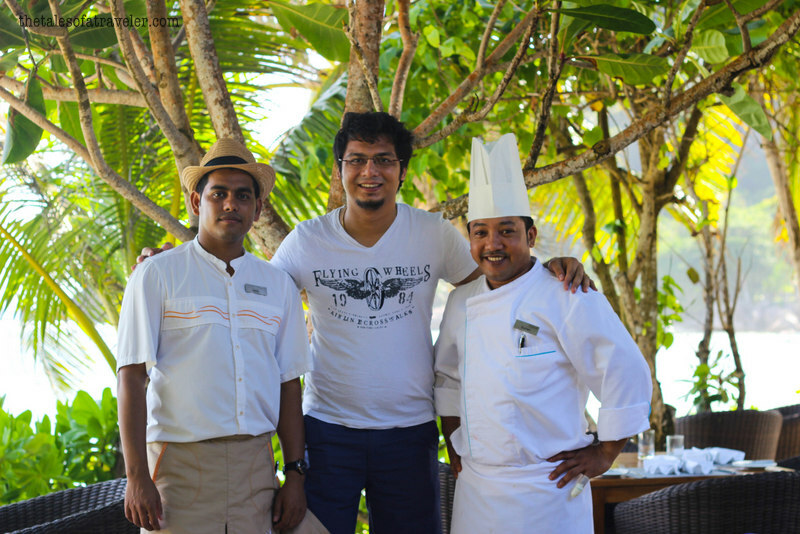 Few of them were of Indian origin and they loved giving us suggestions on the best cuisines to try whilst our stay at the resort. Check out for the best rate and deals HERE. 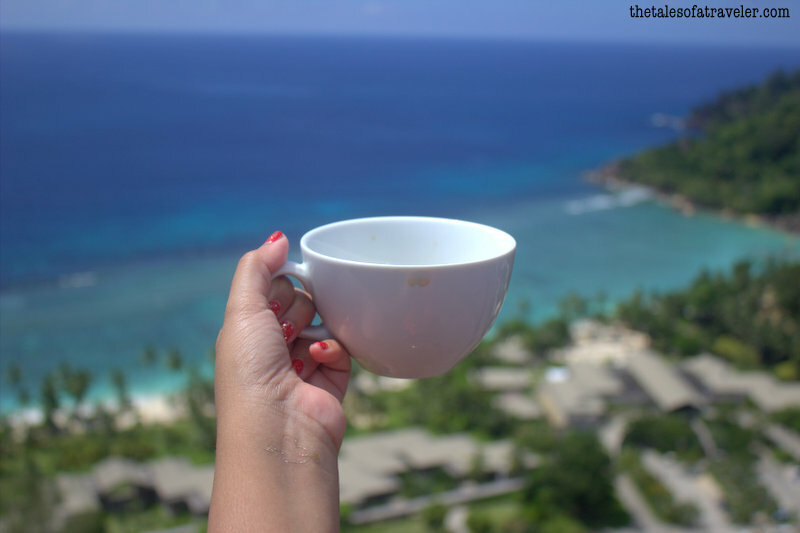 We were guests of Kempinski Seychelles Resort but opinions as always are our own. Wow! Amazing place to be in! Great pictures. The resort looks lovely through your lens! 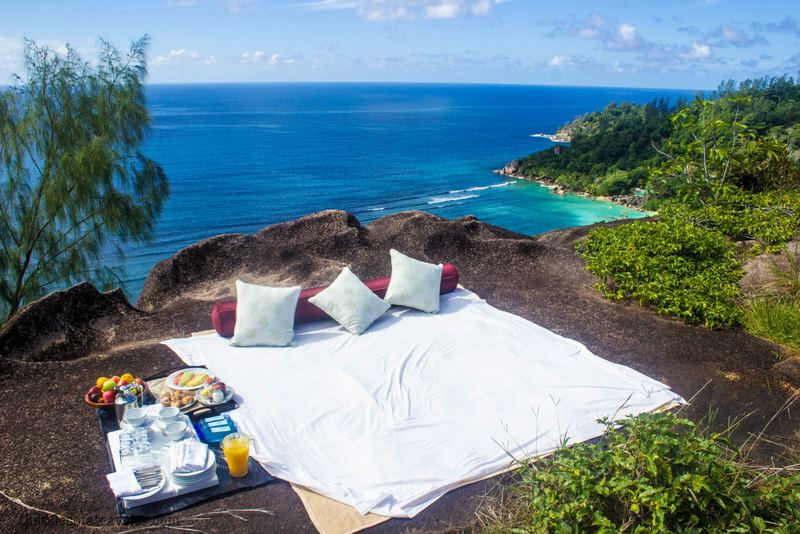 It’s a very beautiful property, do consider this property if you are planning a visit to Seychelles. MY OH My!! Gorgeous you two and gorgeous post. This was so good to read and watch. Such a great content. All the best guys… keep doing great!! Thanks, it is a beautiful property. Thank you Vishal, it is a stunning place indeed. Amazing place with true luxury in such awesome natural surroundings… looking forward to more posts.. Loved the pictures and the way you have kept me waiting eagerly for the next posts. The resort is looks fabulous, i don’t think so after watching those photos anyone will look for another resort. Thank you for this splendid post! 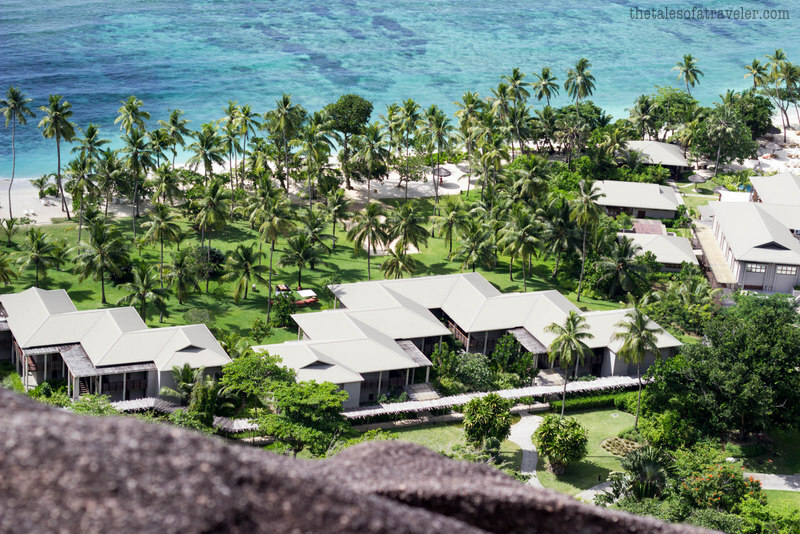 It has inspired me to book this resort for my upcoming holiday in Seychelles. How would you rate the Snorkelling at the resort premises? 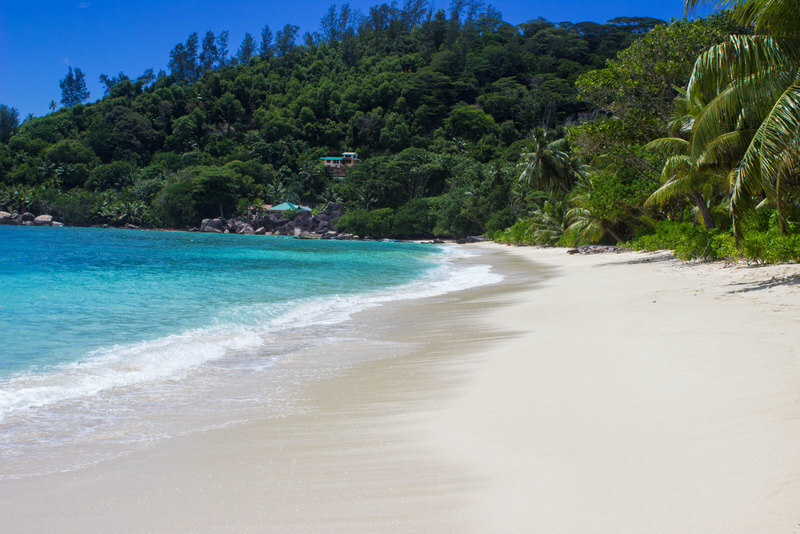 Eagerly awaiting your other posts on Seychelles..
Snorkelling is awesome, there is also a fish cave right off the beach and the resort also has an in-house dive center. Thank you for such a wonderful write-up about the resort. 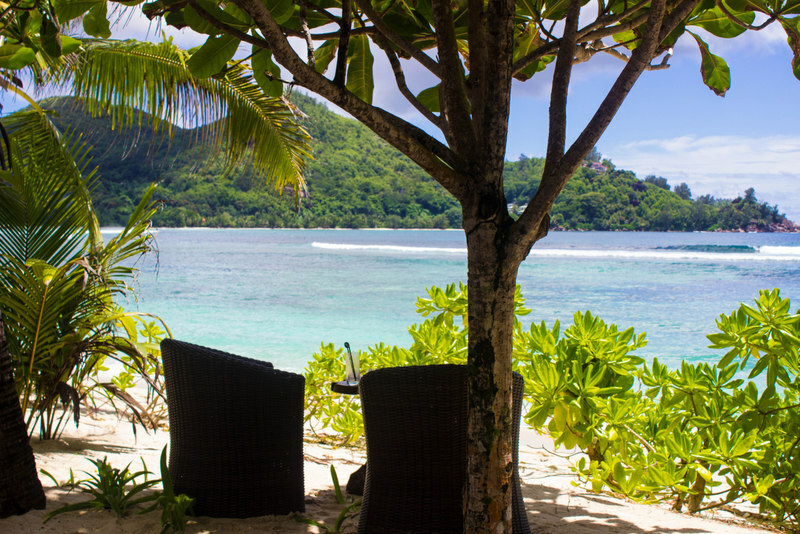 I have booked the same for my upcoming Seychelles holiday in September. After reading this, I am more convinced about my choice of stay. Just a question, do you have any suggestions for rooms (sea view or sea-view garden)? And, how about the transport facility for travelling around the island. Does the hotel have facility like a transport desk, which helps in renting a car? Ours was a sea view room, which was on the first floor and the ground floor rooms are Sea View Garden rooms with an access to the garden from the patio. Renting a taxi is extremely expensive in Seychelles, the cheaper mode of transport is renting a self-driven car. There is a transport desk in the property and there are private taxis within the resort as well. Hope you have a great time. 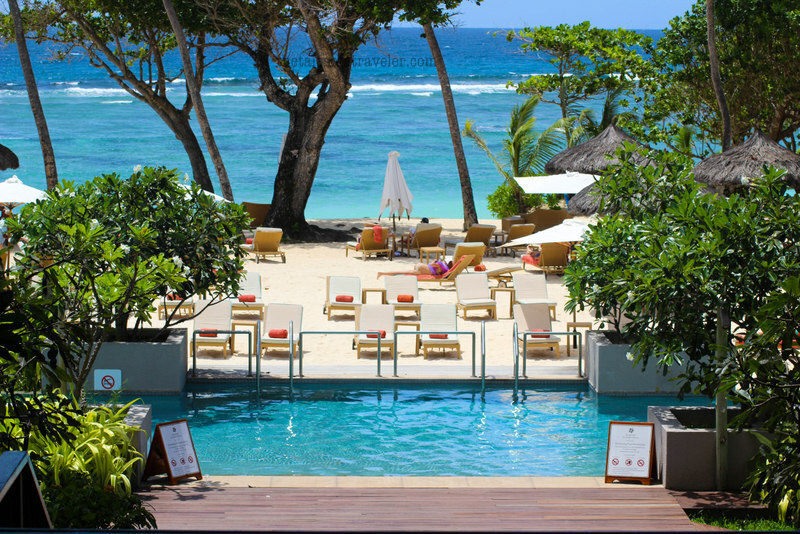 The Kempinski Sechelles Resort looks wonderful for a nice relaxing tropical stay. 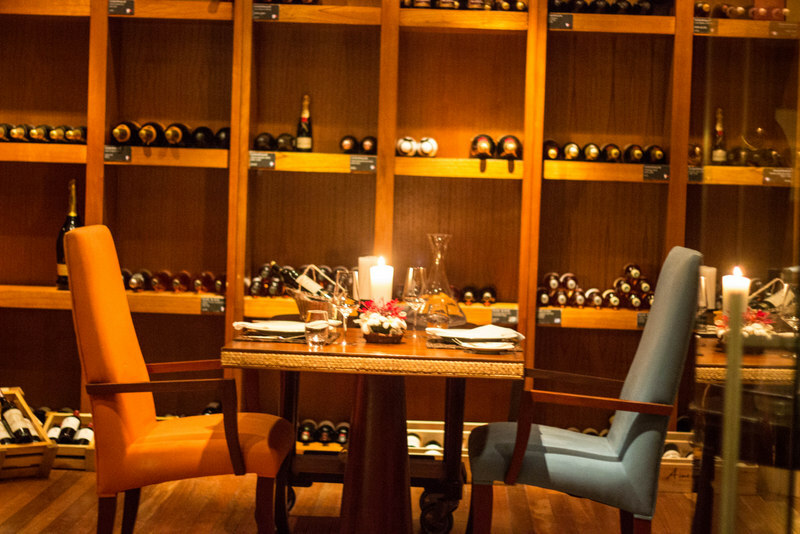 I would love to try out the fine dining experience with paired wines and champagne. The yoga experience at the top of the hill seems like a must do! How romantic and peaceful. Thanks for sharing. Very lovely and nice article. It really helped me a lot with my trip planning.